Synology Network Video Recorder NVR1218 is an all-in-one and energy efficient private surveillance solution with HDMI output for PC-less management and live monitoring. NVR1218 supports up to 12 channels of 720p/30FPS camera streams. Point of Sale (POS) system support combines business transaction records with surveillance recordings. 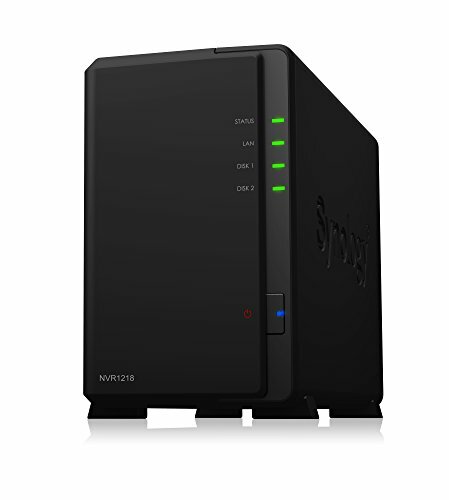 Synology NVR1218 is backed by Synology's 3-year limited warranty.